"Yb" redirects here. For the band, see YB. Ytterbium is a chemical element. It has the chemical symbol Yb. It has the atomic number 70. It is part of a group of chemical elements in the periodic table named the Lanthanides. 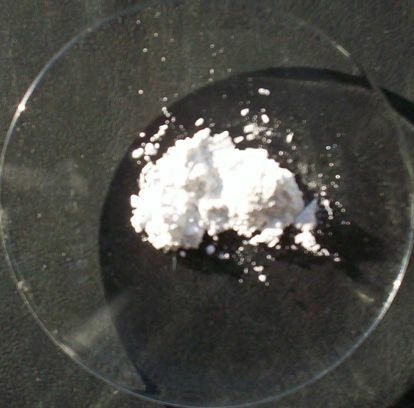 Ytterbium is a rare earth element. It is soft and silver color. Ytterbium is found in minerals named gadolinite, monazite, and xenotime. In nature it is found as a mix of seven stable isotopes. 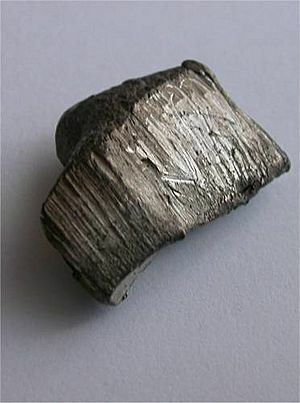 Ytterbium is used in some steels and is also used to make lasers. Ytterbium Facts for Kids. Kiddle Encyclopedia.